Author Alister ScottPosted on August 18, 2016 August 18, 2016 Categories Automated Testing, Software Testing, TDDTags code coverage11 Comments on 10011 Code Coverage? If you’ve somehow managed to miss the keynote, blog post and subsequent shitstorm about it, David Heinemeier Hansson (dhh), creator of ruby on rails, has recently come out and declared test-driven development (TDD) dead. I’ve dubbed it ‘tddGate‘. I find it rather ironic that David advocates the importance of clarity of code in his keynote, yet his objections to TDD through his keynote and posts are anything but clear (to me at least). I don’t fully comprehend his science/pseudoscience/diet analogy in his keynote: he claims TDD is science-based because it uses metrics and coverage, but it’s also like a diet in that most people can’t make it work so it’s pseudoscience, but he also believes information system development isn’t science because it’s actually more like writing French poetry? Very confusing. He interchangeably uses TDD to mean Test Driven Development and Test Driven Design. He seems to imply you can only do TDD if you’re writing unit tests and you can only write unit tests if they are isolated by using dependency injection (DI) and mocks. He also seems fairly negative on unit testing, DI and mocks, therefore negative on TDD, and wants it dead so he can write (slower) system tests without using TDD, mocks or DI. David gives an example of why unit tests aren’t valuable because they didn’t catch a BaseCamp bug to do with attachments (hint: the issue isn’t to do with unit testing per se, but having only one style of tests). Because David thinks TDD is about unit testing, he sees driving system design from units is bad because people don’t care about units, they care about the whole thing, and doesn’t see the importance of testability. The one subject that I wholeheartedly agree with David on is the importance of reading other people’s code. Writers read much more than they write, so should programmers. I have met few programmers who write unit tests, let alone who practice TDD. Self testing code (eg. automated testing) is critically important to the health of a codebase as it allows someone to confidently make changes and/or perform refactoring without worrying they may have inadvertently broken something. One way to achieve self testing code is via TDD, but it’s by no means the only way. You can easily achieve a self testing codebase by writing tests after code (or even having someone else write tests). There are circumstances where it doesn’t make sense to write tests first (see some examples here). It’s common to practice TDD by writing unit tests but it’s not the only way to practice TDD (for example: you could write an integration test first or an acceptance test first). It’s common to write ‘isolated’ unit tests using DI and test doubles (so they’re fast and decoupled) but it’s not the only way to write unit tests (you can interact with your database and you can test real dependencies, they’re not isolated unit tests, but are still unit tests nonetheless). I personally find practicing TDD and writing unit tests first does result in a clearer, more well designed API as you’re calling your own API and you can design it how you like, but it isn’t the only way to achieve a clear API. I also find practicing TDD is very effective for bug fixes as it’s easy to write a failing test and have confidence you’ve fixed the problem (and not created any others) when the test finally passes. I don’t trust a test I haven’t seen fail: and this is much easier to do with TDD. You can also achieve this after the fact by (temporarily) changing your code to not work. Unlike David, I strongly believe in the value of testability. 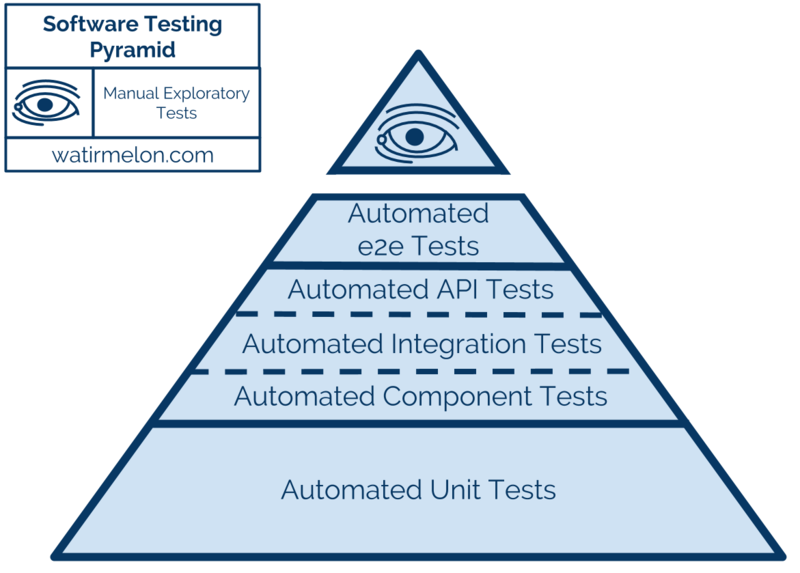 I believe it’s important to have the right mix of different types of automated tests for your context. Most often this means more unit tests and less end to end tests, but there are some cases where this is skewed. A diet of just one, like eating only chocolate, or completely banning sweet foods, is unhealthy and unsustainable. Do what works for you personally and in your context. If you love the flow you achieve doing TDD that’s great, if you can get self testing code another way, that’s equally good. If you don’t enjoy it and it doesn’t work for you, don’t make yourself do something like TDD just because someone else says to do it. But don’t stop something like TDD if you like it just because someone else declares it ‘dead’.